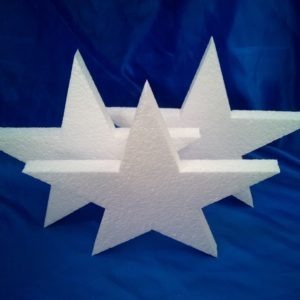 We make polystyrene stars in various sizes for interior display purposes. We cut thin stars for hanging or attaching to walls and thick cut polystyrene stars for freetanding in windows, on shelves or for christmas displays. These polystyrene natural white stars are light enough to stick to walls, windows or hang from string or thin thread. These stars can easily be decorated with non solvent based paints or glued with pva and sprinckled with glitter. Or just leave them in natural white expanded polystyrene for an authentic looking star shape. 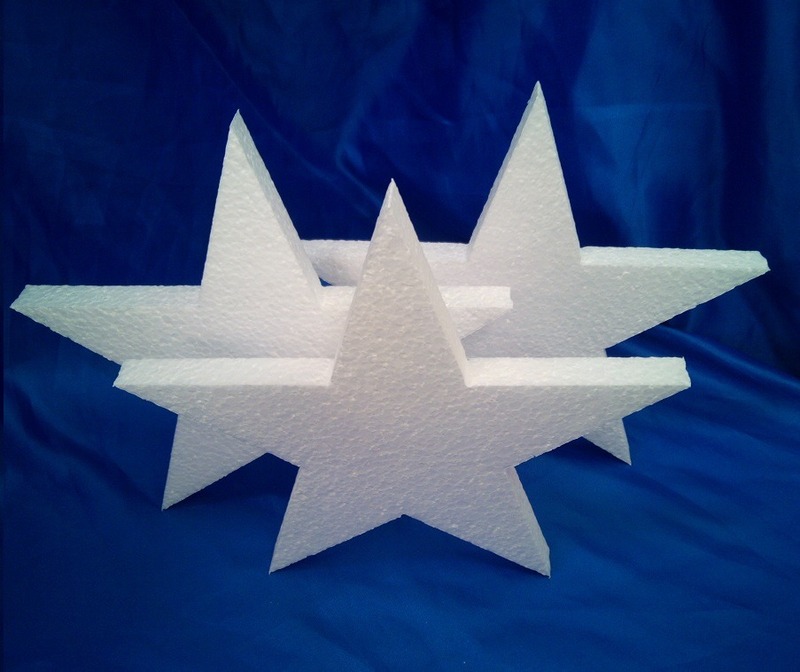 These polystyrene stars are ideal for christmas shop window displays, parties or celebrations. If you require any other designs made from polystyrene then please send us your design with your enquiry and we can reply back to you with a quote.